The recent killings of black men by police officers in the US has sparked outrage in both the states and in the UK. 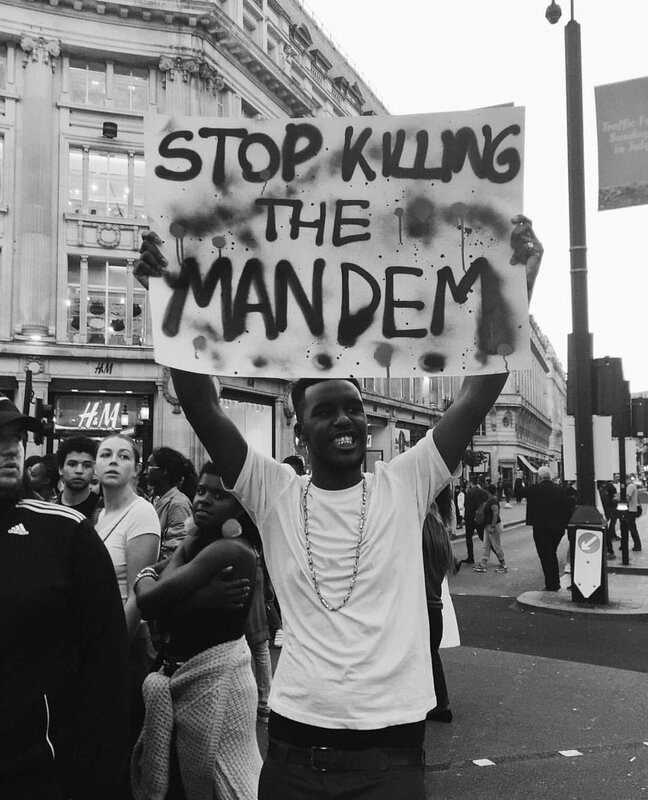 On Friday the frustration and anger shown on social media by entertainers and influencers including Stormzy, Beyonce Drake and more manifested itself into a Black Lives Matter demonstration. Stylist and writer Ayishat Akanbi stylist and writer together with the Black Lives Matter team staged a peaceful protest at Southbank which moved to Regent Street, the BBC HQ and finished at the US embassy. during the march from venue to venue protesters sang “no justice, no peace” and “hands up, don’t shoot” mirroring the sentiments of their fellow americans that were outrage at the killings of Alton Sterling and Philandro Castille. More protests are being staged in the UK in a bid to get the UK Media to recognise what is happening and to effect change in some form. Be the first to comment on "NOVELIST, ETTA BOND & MORE JOIN #BLACKLIVESMATTER DEMONSTRATION"